In celebration of National Wildlife Refuge Week, which runs from October 11-17 this year, I am posting every day about a refuge I have visited. I like to stop and visit wildlife refuges whenever I travel. Part of the intrigue of NWR’s for me is that they include untrammeled landscape that may have never felt a human’s presence. I want to support these truly wild places and help them remain so. 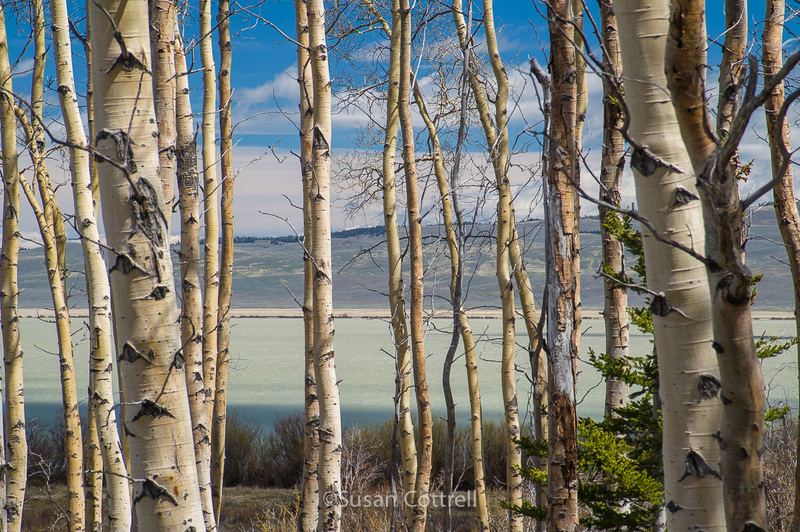 I visited Red Rock Lakes NWR in Montana 10 years ago on a road trip from Utah back home to Washington. 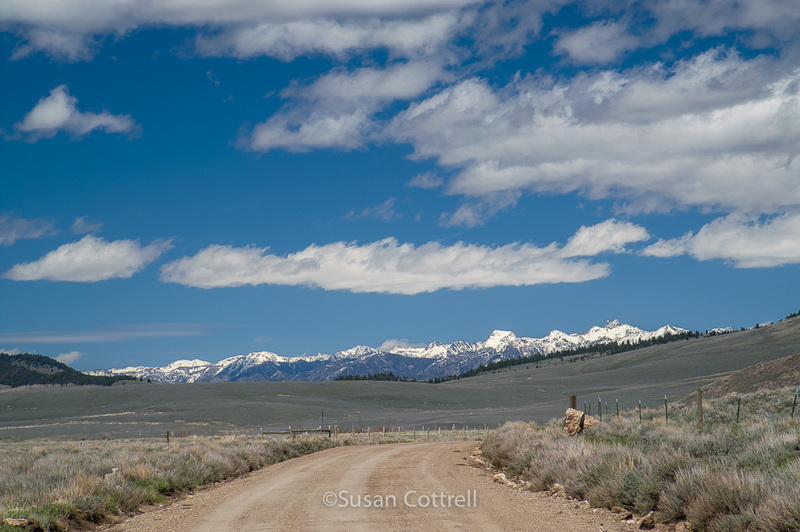 It was a magical place from the time we turned off Interstate 15 and headed east onto the deserted gravel road. On the way in I saw my very first (ever!) badger which created the magical spell that lasted for me the whole visit and still lingers when I remember that trip. The badger was in a ditch beside the road and looked right up at us when we stopped. It signified the remoteness and wildness of the place. 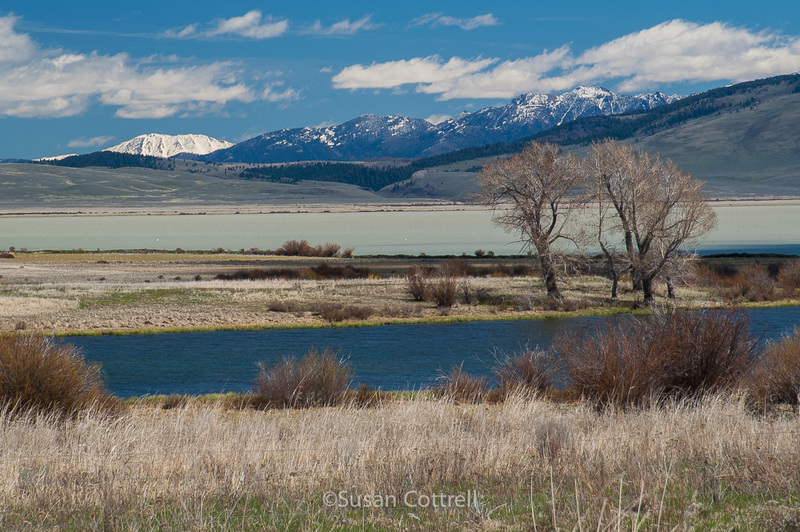 Red Rock Lakes sits in the Centennial Valley west of Yellowstone. 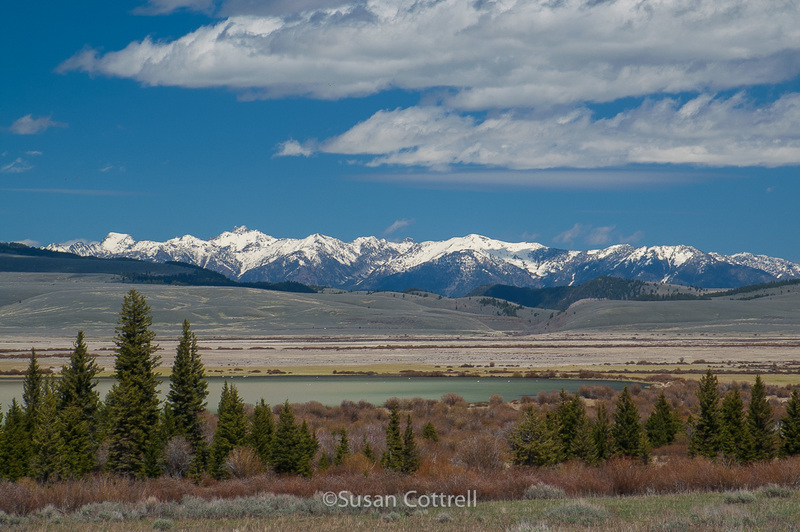 It is bordered by the Centennial Mountain Range on the south, one of the few east-west running mountain ranges. The Continental divide runs along the crest of this range. This description is taken from the official NWR website. 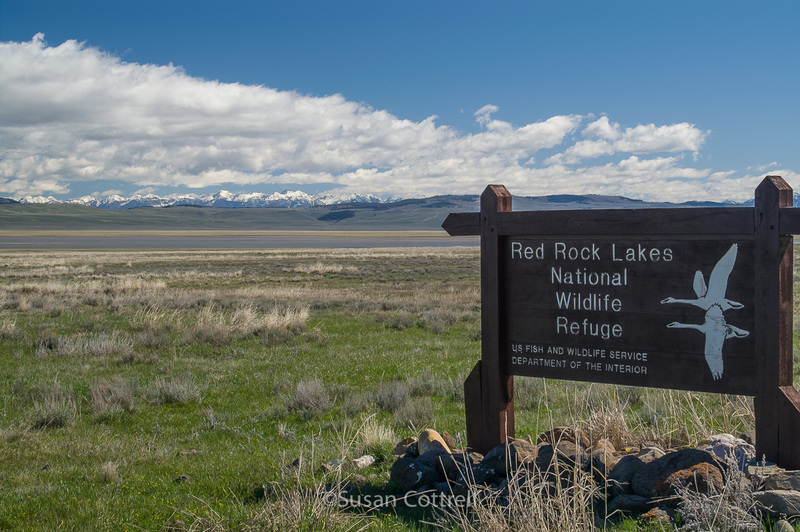 “Red Rock Lakes NWR (has) the distinction of being designated a National Natural Landmark. Because it is one of the few Wetland Wilderness Areas in the country, we continue to manage for primitive wilderness values. Here humans are visitors, with minimal permanent impact on the landscape, and wildlife move freely with minimal human interaction. Physical facilities are limited and commercialism is minimized, creating a rare, uncrowded, do-it-yourself experience. In keeping with the wilderness spirit, visitors are free to explore the country the way wildlife see it. The landscape here is vast and open. It is subtle and extreme. It is desolate and rich. It is flat and rugged. My visit was in May, at the end of winter’s grip and I would love to go back again when it is in full leaf and bloom and bird song. Red Rock Lakes may take a bit of effort to get to but I guarantee it is more than worth the effort. 12 Oct	This entry was published on October 12, 2015 at 22:57. 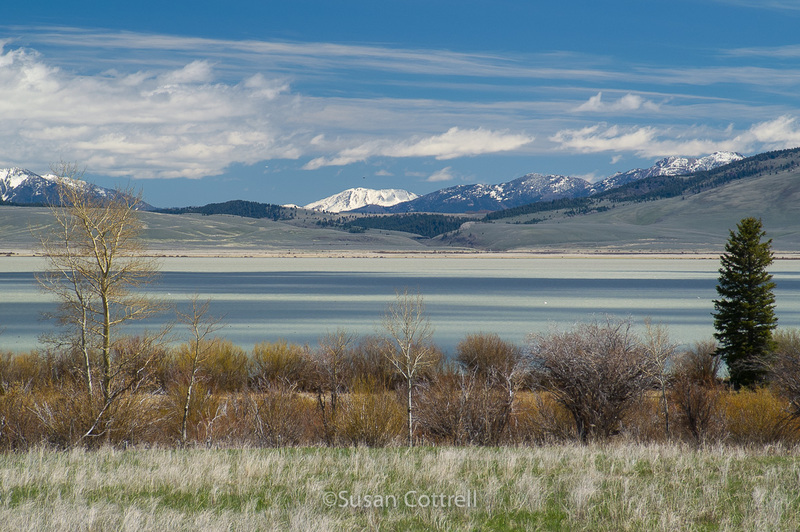 It’s filed under Birds, Nature and tagged aspen, badger, camping, Centennial Mountains, clouds, lake, Montana, national wildlife refuge, NWR, Red Rock Lakes, refuge, remote, SNOW, spring, Trumpeter Swans, wilderness, wildlife refuge. Bookmark the permalink. Follow any comments here with the RSS feed for this post. I seem to remember we saw the badger while contemplating whether to cross the rather large stream flowing across the road, then we looked up to see a moose on the other side of the road. A magical visit – my ski was amazing. Yes! I do remember the water streaming across the road from the snowmelt but forgot about the moose with the badger. Two memories are usually better than one! Thanks Steve!